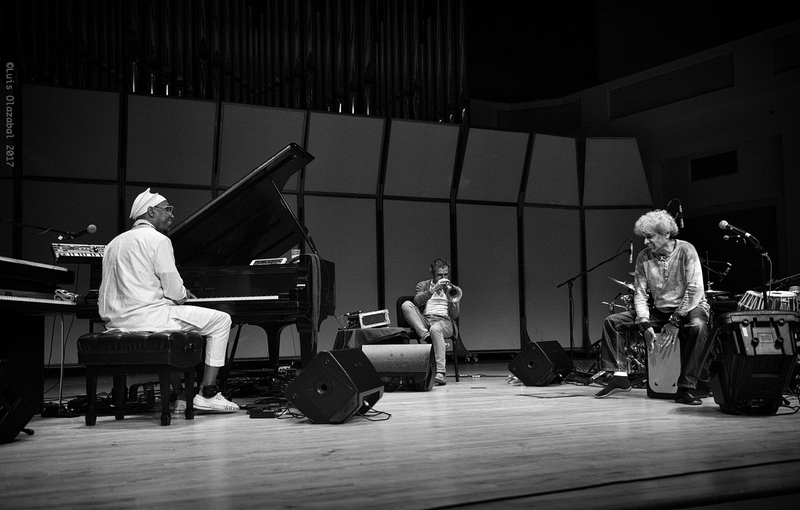 Omar Sosa, Paolo Fresu and Trilok Gurtu at the : Wertheim Performing Arts Center, FIU’s School of Music, Saturday. Beautiful performance by the Omar Sosa, Paolo Fresu and Trilok Gurtu trio closing the 4th annual Miami International Jazz Fest, at FIU, Saturday. It seems redundant to speak of a very musical performance, but given that it was such a relief from the standard instrumental Olympics and that there was a lot of intense listening, use of dynamics and respect for space, sound and silence on stage, I´d say the point needs to be made. It was a truly musical performance. At times, it was like overhearing a conversation between smart, well informed people: the subject almost didn’t matter; the thinking, what they had to say about whatever they decided to address and how they made their arguments, was enough. Saturday, Sosa & Co. could’ve played “Happy Birthday” for all that mattered. They probably would’ve made it interesting too. There were no fixed roles. Instead, they took turns proposing themes, moods and tempos. On one piece, Fresu, on flugelhorn, just held a note throughout as Sosa bobbed and weaved around it, poking and retreating under Gurtu’s watchful eye. 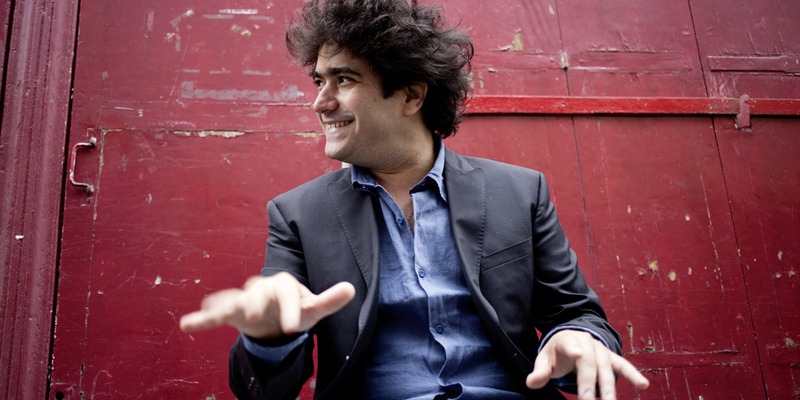 On another piece, Sosa and Gurtu engaged on a dialogue of vocal percussion, Gurtu drawing from the elaborate rhythmic patterns of Indian music; Sosa prodding and responding with bursts of Afro-Cuban rumba. Every piece told a story.By each song’s end you had a sense that you had been somewhere. The trio doesn´t have a recording, but Sosa and Fresu have two as a duo, Alma (2012) and Eros (2016), both featuring Brazilian cellist and arranger Jaques Morelenbaum as a guest. Worth looking for them. The evening started with a delightful set, running from Ellington and Basie to hip-hop, by the Dillard Center for the Arts Jazz Ensemble, from Ft. Lauderdale. This big band from Dillard High School, directed by Christopher Dorsey, was celebrating having been picked among the top 15 high school jazz bands in North America — and for a good reason. I wonder what the old masters would’ve made of high schoolers playing their books with such proficiency, grace and aplomb. Being selected for the Essentially Ellington High School Jazz Band Competition & Festival in New York City has become a bit of a habit for the Dillard High School Jazz Band. This is the seventh time it’s a finalist. (This is the 22nd edition of the annual event)If you heard them Saturday, you’d know why. The event takes place at Jazz at Lincoln Center’s home, Frederick P. Rose Hall, on May 11. Congrats and good luck.